While watching a news report on African Independent Television (AIT) some months ago, I observed that the reporter, Nengi Fynecountry was reporting from a moving speedboat in Rivers State without putting on a life jacket. I was quite surprised. I didn’t waste time to question why Nengi should take such risk, using my social media platforms. I also recall that I advised my colleague in Adamawa State against traveling on water without wearing a life jacket. 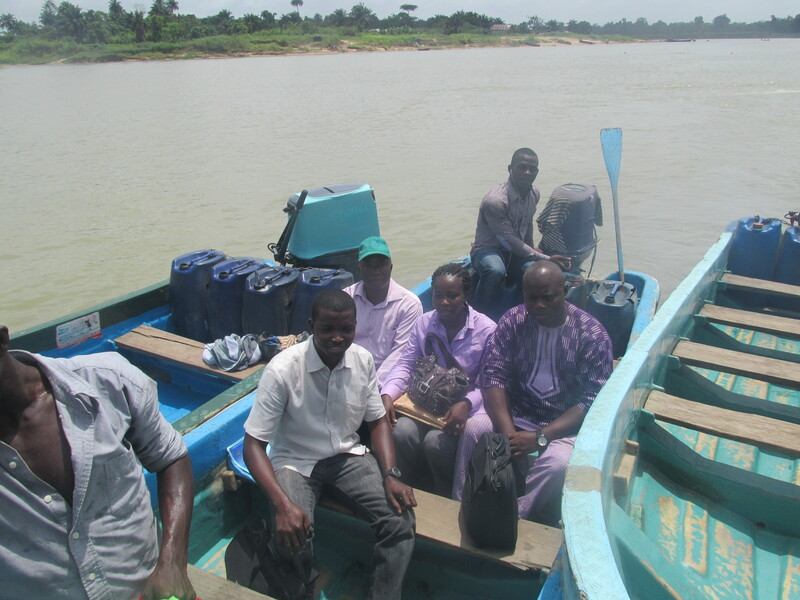 He had traveled for more than an hour on water on his way to Shelleng LGA where he provided supportive supervision on the Global Fund malaria project. But alas! On 5th March, 2014; I traveled on water without life jacket. On the “high sea” without life jacket. Ekeremor – here we are! The first time I traveled on water was during my visit to Alcatraz Island in San Francisco, United States in October 2012. We cruised on a mini-ship. It was a fun-filled experience and I loved every bit of it. The second time was during my recent visit to Ekeremor in Bayelsa State. Before our trip, Yetunde (my colleague) and I made copious enquiries on the availability of life jackets during water travels in the state. We were given assurances that commercial boat operators usually provide life jackets for passengers. That afternoon, we embarked on the trip to Ekeremor to provide supportive supervision and help address their challenges on the malaria program. Both of us work on Global Fund Malaria Project with the Association for Reproductive and Family Health (ARFH). We drove for about two and a half hours from Yenagoa via Kaiama/Sagbama to Tuomo ‘River Port’ in Delta State. While boarding the boat in Tuomo, I asked for life jackets and was told, to my bewilderment, that there was none. The travel time was said to be less than an hour. My colleague initially didn’t want to go to Ekeremor because she’s got aquaphobia and lack floating/swimming skills. 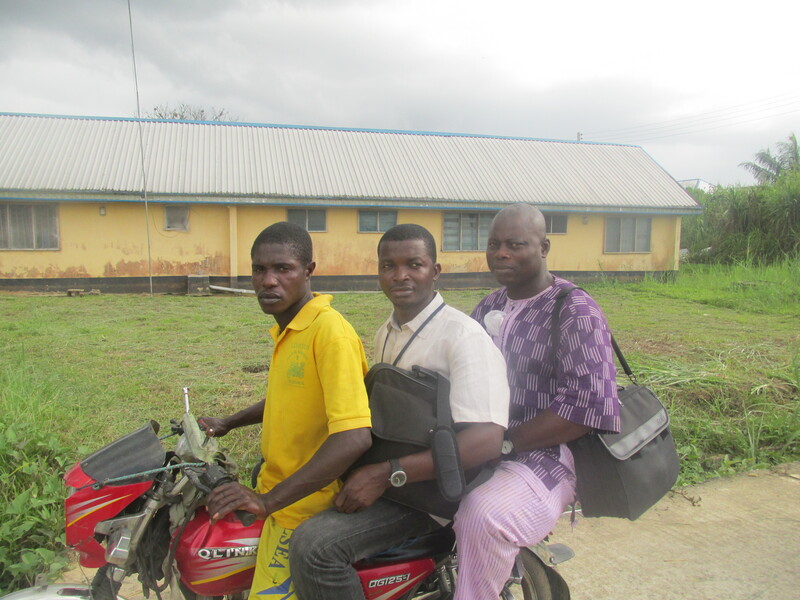 Going ahead was a tough decision; we really needed to get to Ekeremor to help resolve lots of issues. We had an uneventful 35-minute trip on a 75hp chartered speedboat. Ekeremor was a good sight to behold, quiet and cool. No car was sighted, but multiple commercial motorcycles were on hand to pick up passengers from the LGA Secretariat ‘boat stop’ to their respective destinations. We got our job done and were pleased with the outcome. But the sky was getting darker, it wasn’t night yet; it probably wanted to ‘shed some tears’. 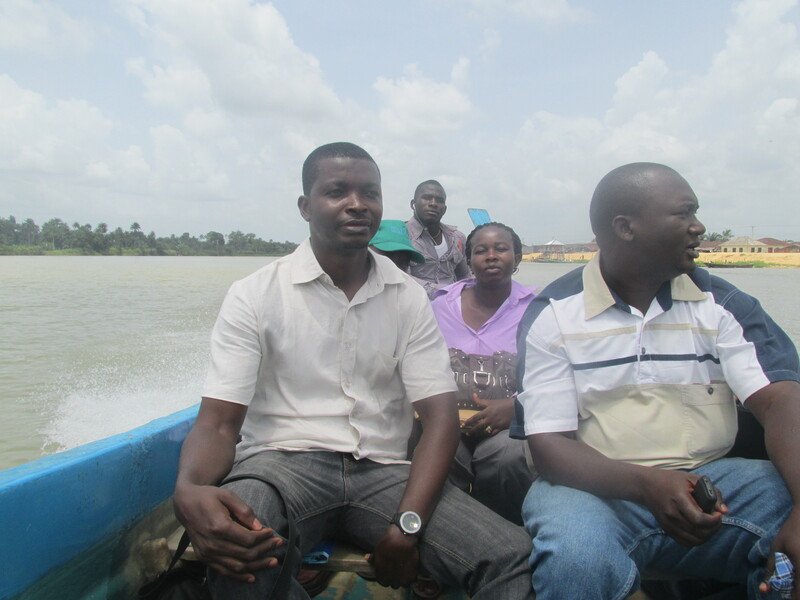 We set out on our return trip, this time, the boat had more passengers comprising of 12 persons of all age groups. At least 3 were children under-fiver years of age and 4 were women. After traveling for about 5 minutes, it started raining. We stopped in the middle of the river. I looked at the faces of co-passengers, Yetunde was very scared. Others were unruffled, obviously, they were used to such experience. A thick leather popularly called “tampolin” was used to cover everyone of us except the boat captain. The boat got dark, we couldn’t see anything clearly, not even each other’s faces. At some points, the boat got bouncing to break the river tides/waves. It appeared stormy at certain points. Shout of “hold am tight…hold am tight” was coming from the sailor, this was directed at co-passenger who were holding the leather firmly to the boat. Wrapped on the boat, it was quite stuffy; oxygen saturation of our immediate environment was no doubt reduced. As our trip continued, news reports of boat mishaps came to mind. I imagined the worst and thought of what could be the fate of the children and passengers who can’t swim? Was I scared for my self, no I wasn’t. I believed I would be able to stay afloat or swim at least to the point one may get rescued. I was psychologically prepared for the worst but hoping for the best. And the best happened -> we sailed safely back to Tuomo Community. Thanks to mobile technology, I was providing updates on twitter while the trip was going on. My friends were shocked; because I had always told them that I will never travel on water without life jacket. But in this case, we took such risk becuase of the compelling need to #BeatMalaria in Bayelsa State and Nigeria at large. About a week after our sojourn, this headline was in all major news channels, “18 Feared dead in Lagos Boat Mishap” -> http://leadership.ng/news/354543/18-feared-dead-boat-mishap-festac-town-lagos. They too were not wearing life jacket. It could have been me, or anyone. What is the cost of a life jacket? I was told it costs about N5,000, could be a bit more or less. Why should we continuously be losing lives in such a preventable circumstance? Is it too difficult for the government of Bayelsa State to enact legislation, or where it exists enforce laws making it mandatory for life jackets to be made available and used by all persons who travel on water? What about Lagos, Rivers, Benue, Kogi, Niger, Adamawa, Ondo, and others? How many more people have to get drowned before this simple measure would be taken? My office will be providing life jackets for our staff to utilize while traveling on water in Bayelsa and other states. I sincerely hope that the government and residents of riverine communities will take bold actions to prevent boat mishaps or deaths if it happens. This article by Frank Emeawaji Ogwuonuonu may be helpful -> http://www.thenewswriterng.com/?p=7360. May God continue to bless Nigeria as we work harder to #BeatMalaria.